Amal Clooney was spotted leaving her appartment in SoHo, New York. Later, Amal Clooney chats on the phone as she heads to a meeting on Tuesday morning in New York City. She kept things chic in a black suit and sunglasses as she arrived at her office for the day. 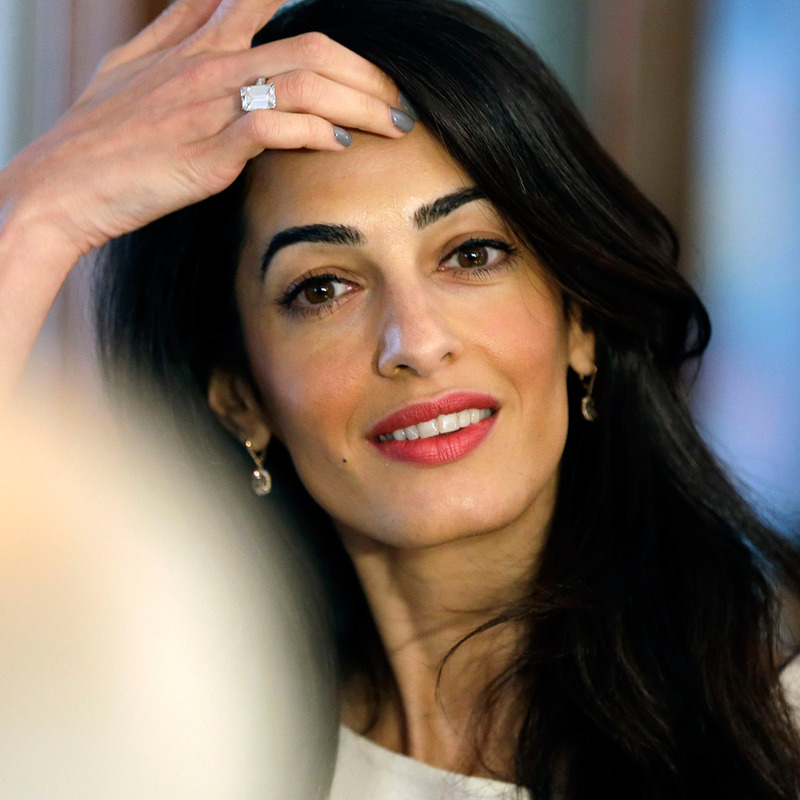 And today at the Columbia Law School, Amal Clooney organized a Skype meeting between her students and Edward Snowden. Fantastic outfit and this trenchcoat ist quality. I love her choices for work clothes. The black suit is great. Just as a point of discussion – it would be interesting to tally up the costs of Amal’s wardrobe since she was first photographed in SoHo New York. Add the cost of hair and make up artist – would I be exaggerating to say it’s around tmillion dollar mark? (AUD) Does anyone want to tally the costs? I know she is not necessarily buying these clothes and in wearing them she advertises the products, which spins off into people buying them, companies thriving, jobs etc. However, I still don’t understand why with the exception of Hollywood black tie events (like going to the oscars etc) she doesn’t ust wear her own clothes when she goes about her business – even the working royals do that and not unusual to see them wear 10 year old outfits. Kate Middleton, Crown Princess Mary – have loads of clothes but over time you do see things repeated again and again if you follow them. I would have thought the novelty of wearing clothes for a day would have worn off after four years. I suspect playing dress ups is her definition of “fun” that she referred to in the vogue interview. I had the same impression after I read that Vogue interview, Maria. She gets PR through the “news” coverage/hype, which also gives the designers free advertising.